But people die as a result of illness or accidents at all ages. And where they have not done the necessary planning, spouses left behind may not have the money or information they need to pay the mortgage, support their children and move on with their lives. “Managing Alone” is a self-published book by Jennifer Black and Janet Baccarani (co-owners of DFS Private Wealth). 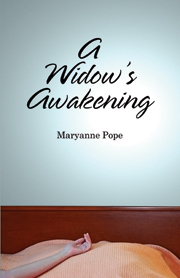 The authors use 10 fact scenarios to help both young and old widows and widowers in different situations coping on their own without the help and support of their partners. Locate and access your deceased spouse’s assets. Claim government benefits available to widows/widowers and their children. Deal with final expenses and your spouse’s final tax return. Establish your own credit and financial identity and why this is important. Obtain the right insurance coverage at the lowest possible cost. Manage if your spouse did not leave a will. Get family affaris affairs in order when death of one spouse is imminent. This chapter discussed in detail how Kayla met with a financial planner who advised her to use the proceeds of Jacob’s small insurance policy to cover expenses until she could get a job. He also helped her to develop cash flow projections and cut back on expenses so she could get by without selling the house. Several years later she remarried and her new husband adopted the children. As part of their financial planning, the couple opened joint bank accounts; switched the ownershp of Kayla’s house to joint ownership; made beneficiary designations on company pension and insurance plans; purchased life and disability insurance with named beneficiaries; and drafted wills and powers of attorney. Another interesting scenario features Walter and Anna, a financially well-off couple in their 60s. Anna died suddenly of bacterial meningitis. Eventually Walter felt ready to meet a new companion again, but his family was concerned that unscrupulous potential partners may try to take advantage of a grieving spouse. Working with his lawyer, accountant and financial planner in consultation with his children, Walter set up a trust to protect the estate. This section clearly explains the different kinds of trusts and how to set them up. He also updated his will and powers of attorney. At the end of every chapter, there is a work sheet where you can fill in points to think about that may apply to you and questions to ask your advisor. In addition to the book, the authors have established the website widowed.ca, a free online resource for widows, widowers and their loved ones, providing an easy way to locate a wide variety of information and services needed after the loss of a cherished companion. You can find articles, event notices, Q&As, discussion forums and links to government websites on this frequently updated and valuable resource. I highly recommend this book for couples, the recently widowed and their family members. The website covers an added continuum of valuable information and networking opportunies. Information on purchasing a print or electronic copy of the book can be found here.